Brett Pescud has been involved in fitness and boxing almost since birth. His father, the late Max Pescud, was recognised as one of Australia’s leading boxing trainers through the 1960s, ’70s and ’80s. From a young age Brett was taught boxing at his father’s gym and went on to a successful amateur career. 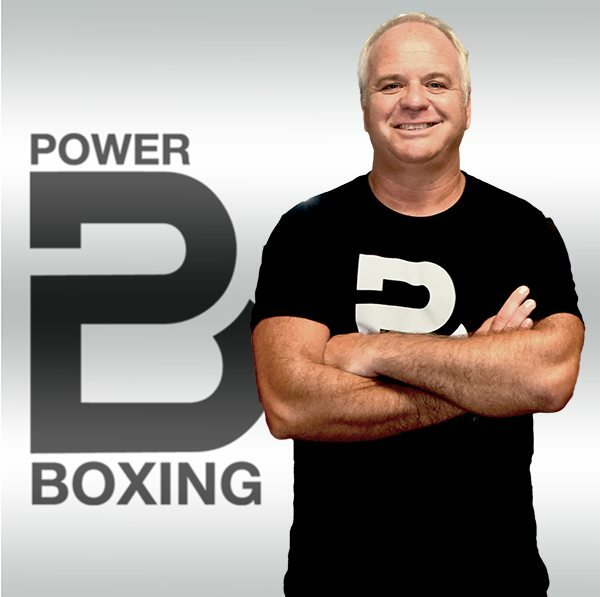 Through the 1980s and ’90s Brett was at his father’s side as Max’s focus incorporated not only boxers but a growing circle of people who wanted individualised fitness programs. For these people Brett and Max used many of their boxing techniques, because, as they already knew, a successful boxer must be supremely fit – every part of the body is targeted. Max and Brett were personal trainers before the term even existed. In 1999 Max passed away, but Brett ‘Power’ Pescud continued the family fitness and boxing tradition. Brett has been based on the Gold Coast since arriving here from Victoria 1976. He is an Aquinas College old boy and is also a life member of the Surfers Paradise Aussie rules club, where he has also volunteered many years as coach, trainer and administrator. 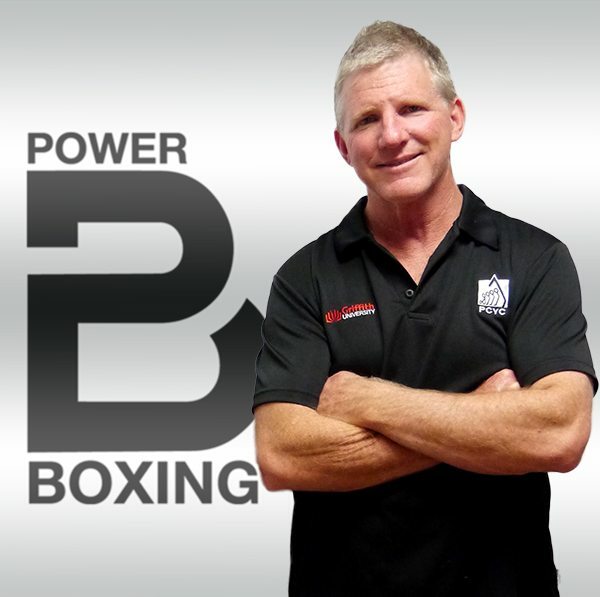 Brett, who has held a boxing training licence for more than 20 years, has a lifetime of fitness training experience, but most importantly knows the right physical and mental approach to ensure people get the maximum benefit out of their workout. Pat McLeod has been involved with boxing since he was a child growing up near Mackay, North Queensland. Pat has had a keen interest in many sports through his life, but his focus returned to boxing in 2001 when he took his son Connor to boxing lessons conducted by Brett Pescud in Southport. 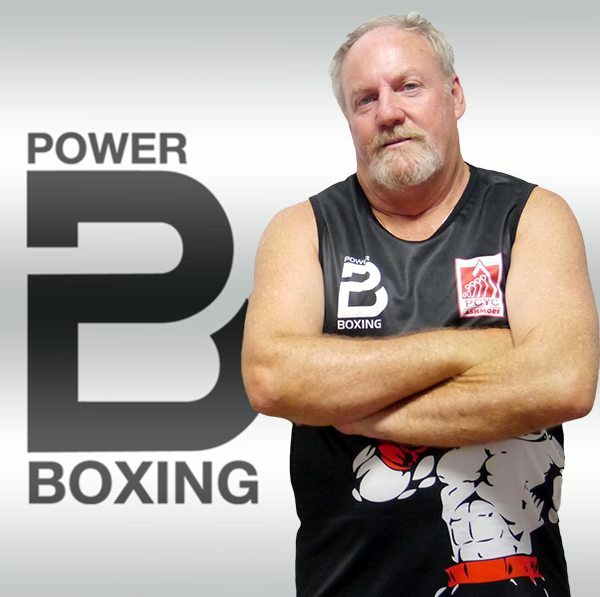 After several months Brett convinced Pat and another father with a boxing background (Johnny O’Keeffe) to start a boxing club, following an invitation from the Ashmore PCYC – Power Boxing was born. Pat undertook his boxing trainer’s course and has been part of the ‘boxing team’ ever since. Both his son Connor and son-in-law Matt Stipcevic have boxed for the club. Pat is a career journalist and now runs his own publishing company – McLeod Publishing. John is the owner of local company Absolute Fencing since 1989, building a credible and successful business that has grown with the Gold Coast and been active and instrumental in assisting local clubs and charities. 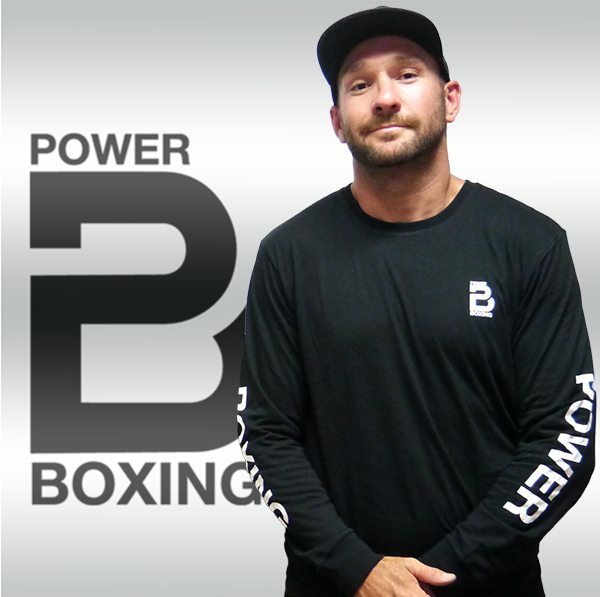 The collaboration with Brett and Pat to form Power Boxing came from meeting Brett to have him train John’s son, Ethan, and it soon became obvious that he needed assistance with the many clients he had to train in both boxing and fitness .John’s boxing experience has come from three generations of boxers, from a grandfather who fought in Jimmy Sharman’s boxing tents to uncles who were Golden Gloves and State title holders. John was trained in Geelong in the 1970s by Leo White (‘Kid Young’) in the traditional art and style that has proved successful through many ages and is still the basis of all training. John believes the advent of the many innovations in equipment and the specifics of body strength and fitness, these provide the tools to create a more supreme athlete able to recover and transition from injury and stress more quickly and efficiently.John was also instrumental in forming and living the Power Boxing ethos – combining experience and teachings with an emphasis on discipline and courteousness to promote individual improvement . The club’s popularity and camaraderie is testament to the success of this mantra. David Saxby was born in Zimbabwe, but grew up in Canada. He was graduated from the University of Ottawa with an undergraduate in Human Kinetics, and a Master’s of Science in Biomechanics. He came to Gold Coast, Australia in 2011 to undertake his PhD in Biomechanics. 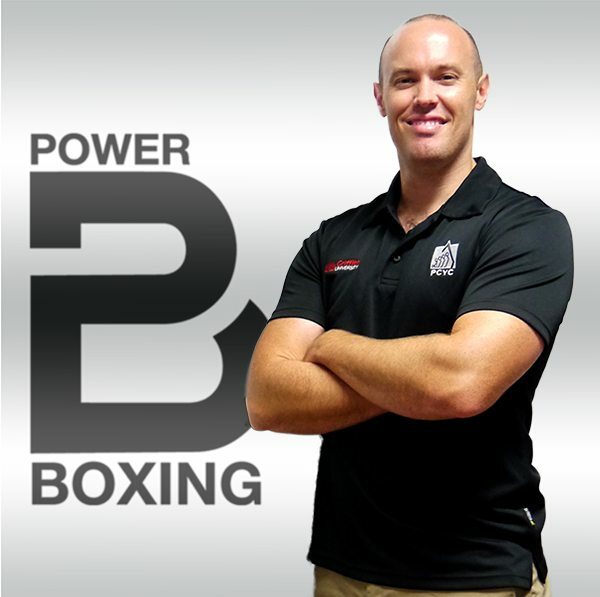 Here he connected with the team at Power Boxing, forming a strong and continuing partnership between Griffith University Sports science and Power Boxing. 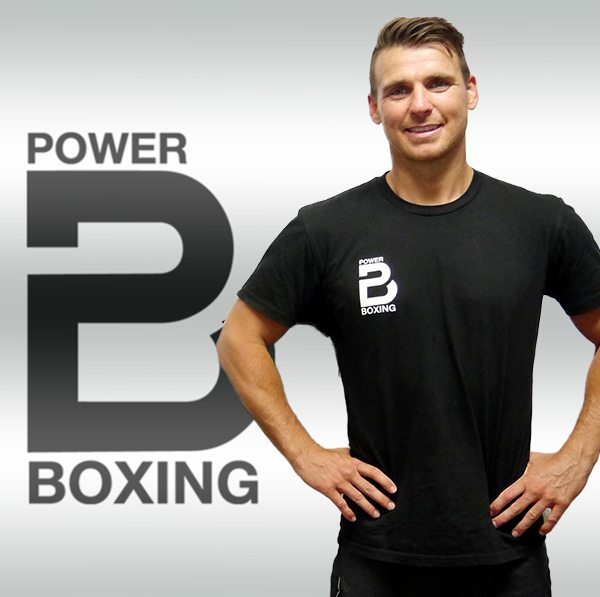 David is a senior member of the coaching staff and his study background has been utilised in forming cutting-edge strength and conditioning programs for the boxing team. David has a deep knowledge and expertise in boxing, and is also a former Canadian national Sanda (Chinese martial arts) representative, placing 5th in 2007 World Championships. Troy has also been involved with the Sweet Science his whole life. His father was President of the Yamba N.S.W. Boxing Club until his passing in 2016. Troy has had a distinguished Boxing career winning an Australian Boxing League Junior Australian Title, onto Australian Boxing League Golden Gloves Title and 3 Northern N.S.W. Heavyweight Titles. A year after his fathers passing, Troy lost a total of 28kg, returned to the ring as a Professional. Back to his hometown of Yamba and had a convincing second round stoppage. Donating his purse to help the sport that had helped him. Ethan came to Power Boxing looking at development during his teens. As his character proved, he has taken the knowledge taught and is our Youth Development trainer. This role has him dealing with young people wanting to find out more about Boxing but end up finding out more about themselves. Ethan’s willingness to help youth achieve their goals is a major step in their sport and life opportunities. Will Parsons was one of the first to walk thru the door on our opening some fifteen years ago. His determination and character of the man led him to a success amateur career spanning nearly ten years. He is now our most decorated boxer. Turning Professional and becoming the Queensland Light Middleweight Champion. Will is still fighting professionally and currently has a record of 9 wins, 3 losses. With fights in Perth and opportunities overseas in the immediate future. 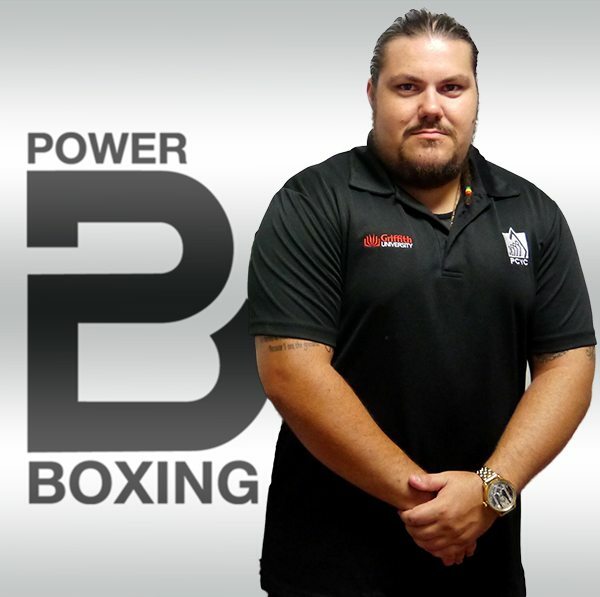 Will’s experience in Boxing along with his certificate as a Personal Trainer, make him the perfect fit to train our Boxers and develop their fitness routines. Adrien was born in Basel, Switzerland, and has always had an interest in combat sports. From starting Judo at six then onto Wing Chun Kung Fu at thirteen. Studying here for seven years before moving onto Brazilian Jiu Jitsu. Adrien studied Physiotherapy in Switzerland earning a Bachelor’s and Master’s degree. 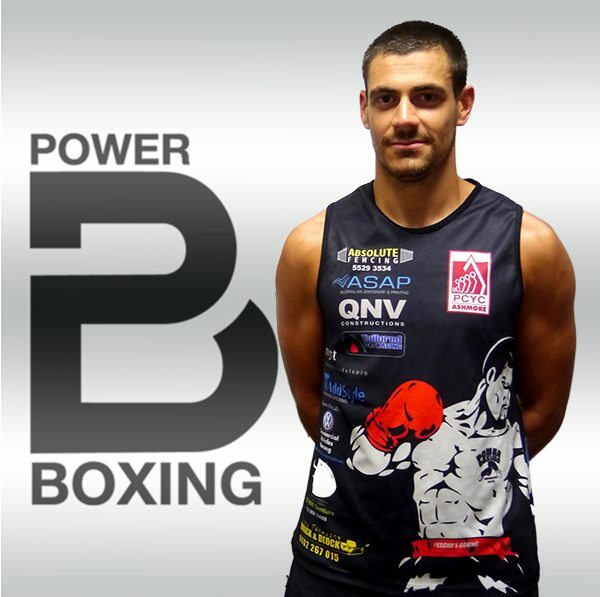 He is currently studying for his PhD in Physiotherapy at Griffith University, that has led him to Power Boxing. Adrien has been an integral part of our Team since March 2015. Not only is he in training to test himself in the ring. All boxing trainers are licensed with Queensland Boxing.